The 2017 The Coastal Challenge is just weeks away from starting. 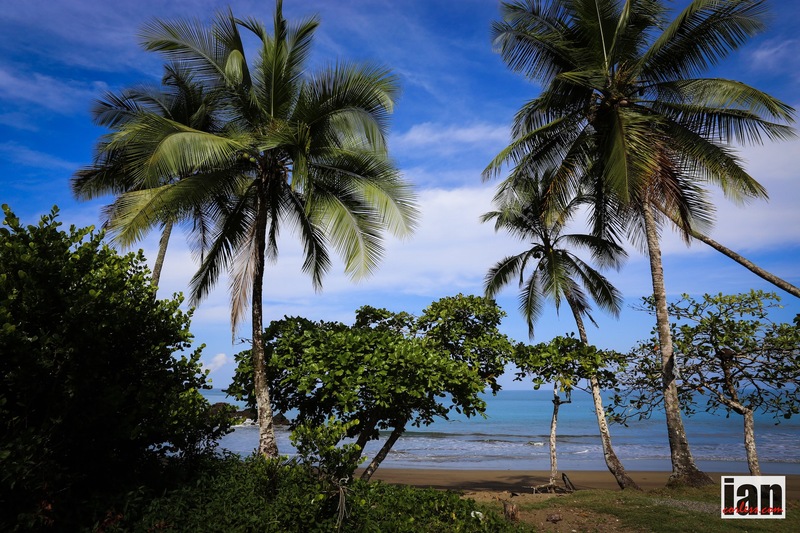 Runners from all over the world will arrive in San Jose and then travel to the start in Quepos for the 13th edition. 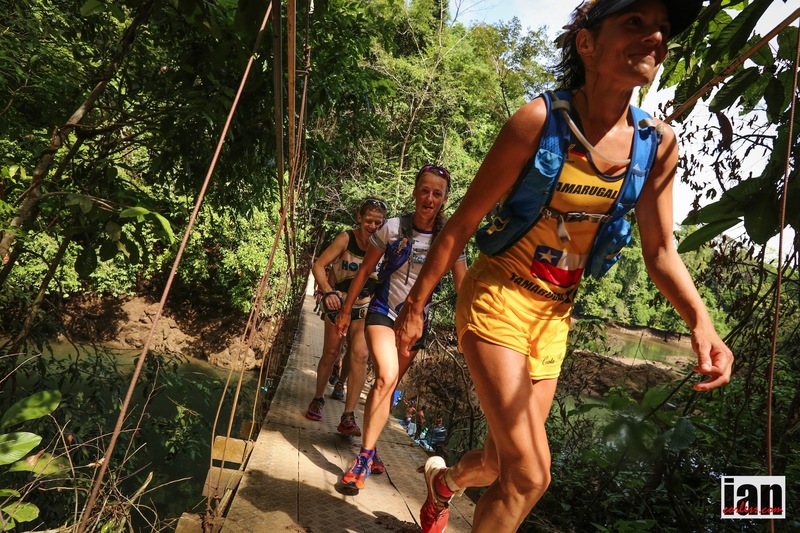 And what a line-up the race has… Reigning ladie’s champion, Ester Alves is back along with Elisabet Barnes, Anna Comet and Veronica Bravo. For the men, Jason Schlarb, Sondre Amdahl, Chema Martinez, Tom Owens and Vicente Juan Garcia Beneito head up a quality line up. 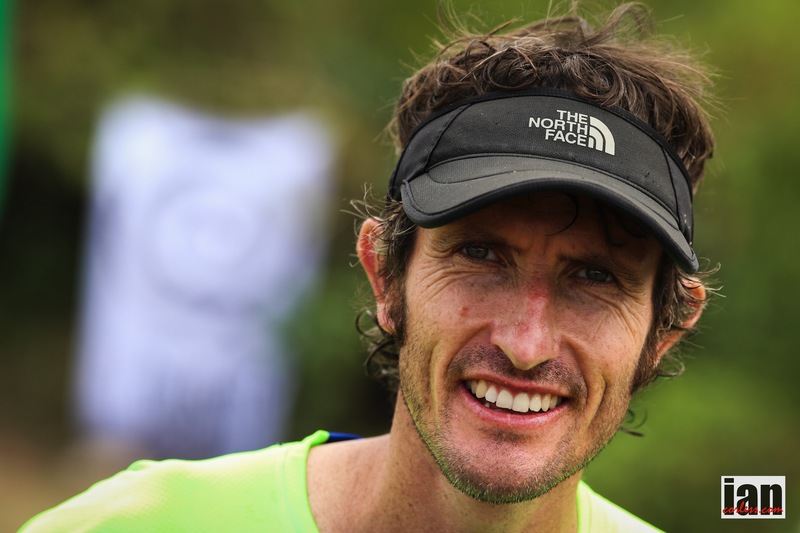 Six days, five stage wins and four course records, what more can we say about the stunning running of South African, Iain Don Wauchope! 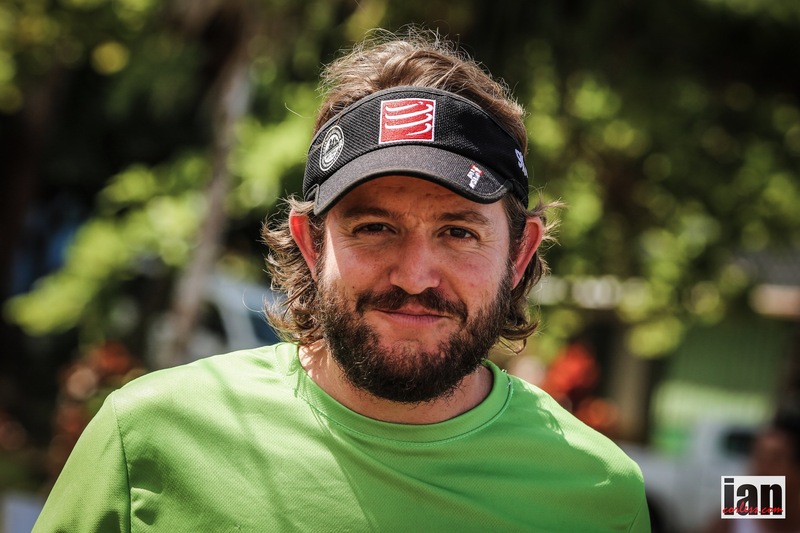 Iain had no need to race the last day… he says he didn’t! 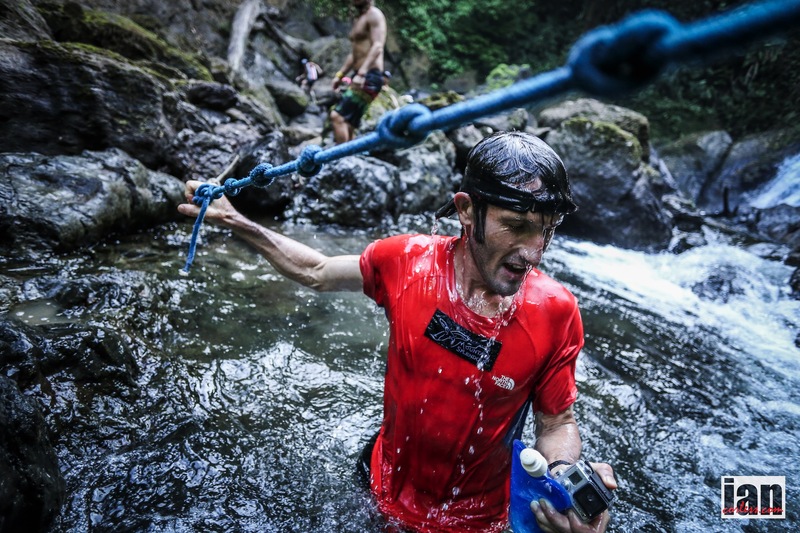 He ran easy, GoPro in hand and had a blast… and still broke a course record. Breaking news over the night was that second place on GC, Canadian Mike Murphey was taken to hospital with severe dehydration. It’s a great shame. Mike battled to the end to take overall victory and unfortunately he has paid a price. Just goes to show how tough this race is! 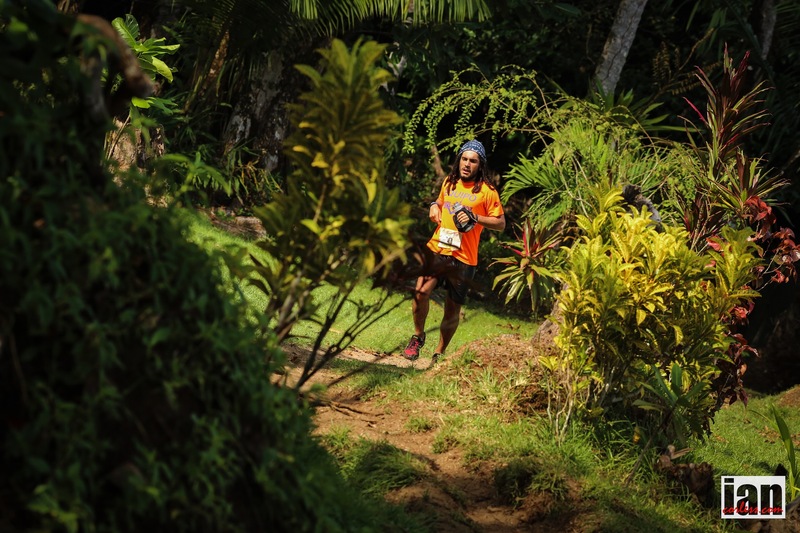 Mike’s departure from the race moved the Costa Rican duo of Ashruf Youseffi and Roiny Villegas into second and third but the battle wasn’t over… Roiny saw this as an opportunity and pushed hard throughout the final stage. Opening up a gap, Ashruf was clearly having a bad day. At the line, Roiny had clawed back a chunk of time but not enough to take the second podium place. The ladies race turned into a procession and a celebration. The top five ladies ran side-by-side throughout the race and embraced the scenery and the friendship that The Coastal Challenge has provided. 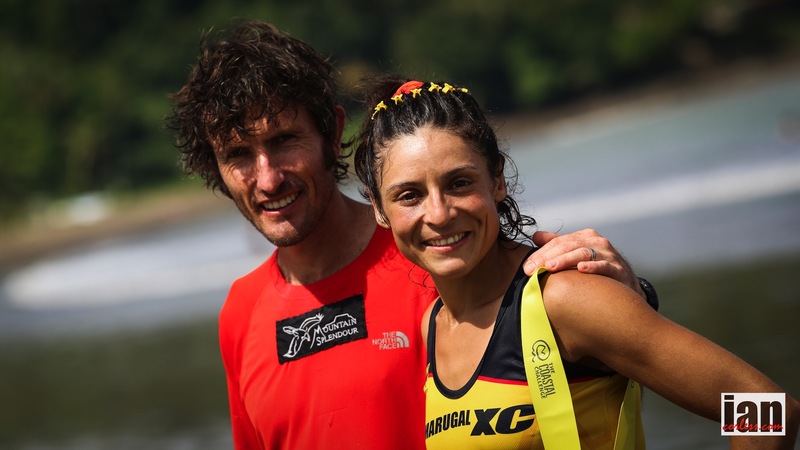 Veronica Bravo’s victory is more than welcomed by the local Costa Rican community and the TCC team; a world-class athlete and adventure racer “Vero’ will run UTMB in 2015 and Costa Rica and Chile anticipate great things! 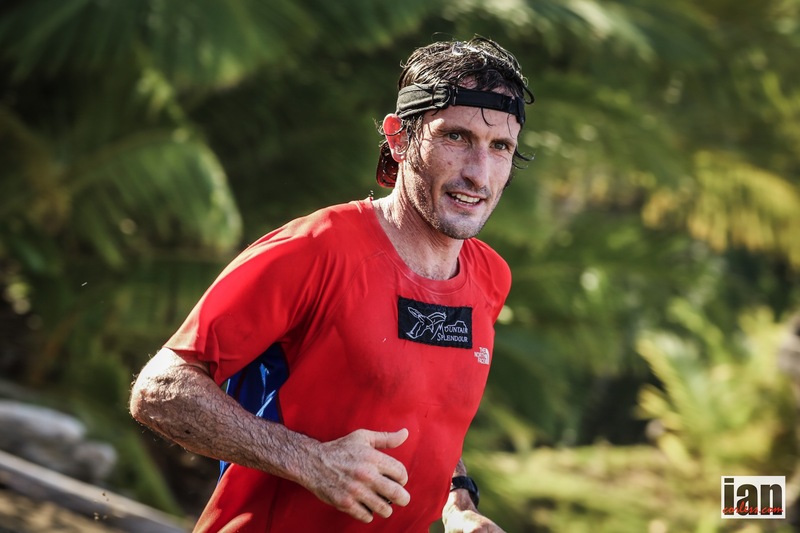 He did it again… Iain Don Wauchope blitzed the fifth stage with another course record! 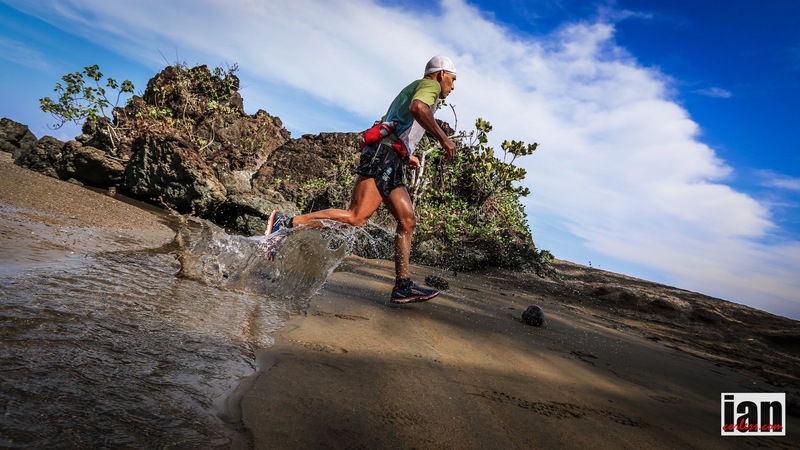 He said yesterday that he was getting better with each day and boy did he fly along the muddy trails the beautiful and iconic Drake Bay. 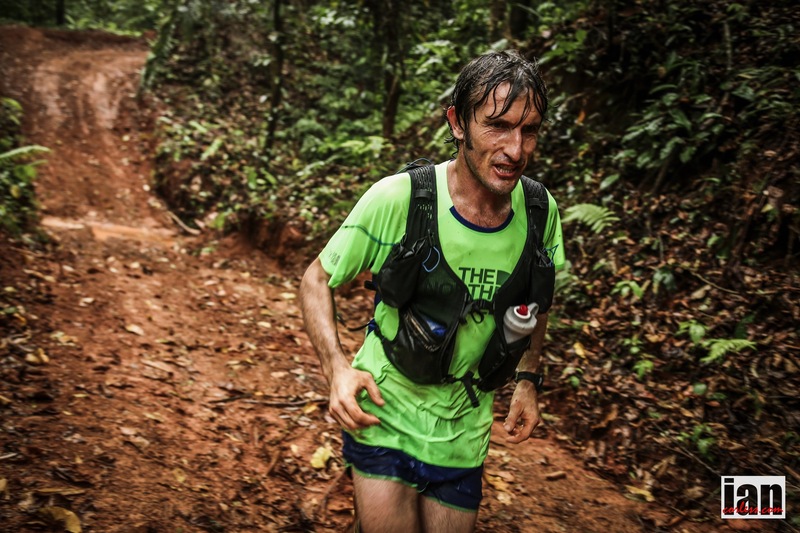 Early morning rain turned torrential by the time the race got underway and in true rainforest fashion, it continued to pour for hours making the trails a mud bath. Despite the deep and slippery mud, Iain still blazed a trail and somehow managed to break the 2014 CR for the stage set by Michael Wardian. Mike Murphey who has battled with Iain all week still remains in second overall on GC but had a horrendous day 5. He had complained repeatedly of not feeling great and mid course he was stopped by the medical team and provided with a drip to help retain his equilibrium. When Mike had recovered he was allowed to continue. Normally a drip in any race scenario would incur a DQ or a time penalty, however, at TCC one drip is allowed. 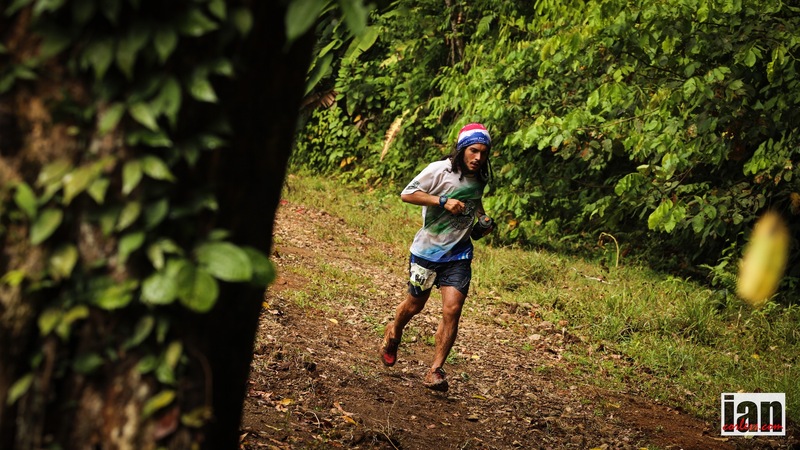 The male Costa Rican battle came to a conclusion when Ashur Youseffi pushed hard and gained an incredible time gap over Roiny and in doing so has taken the third podium spot. In the ladies race, Anna Frost’s injury woes came to a head when she sprained an ankle causing a muscle sprain in her soleus muscle. Frosty tried to push on but it was no good. 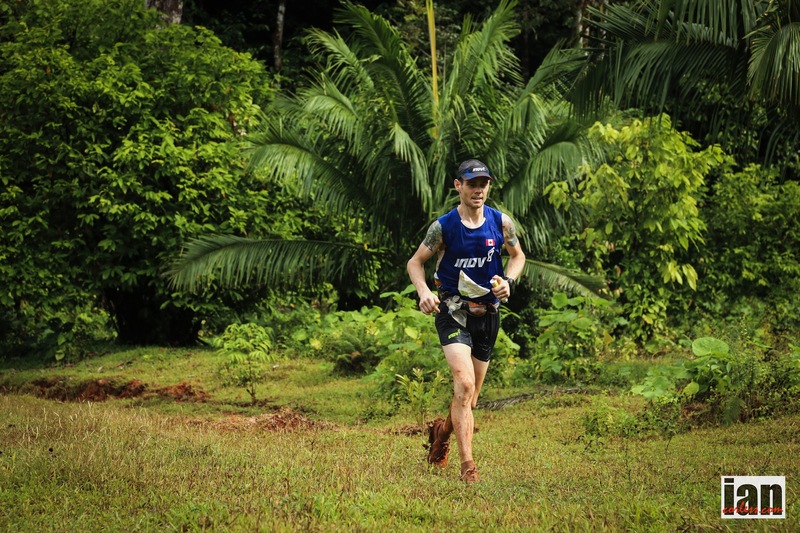 The plantar issues, ankle and muscle sprain brought an end to the 2015 TCC at Cp3. Veronica Bravo reluctantly took the race lead after running with Frosty and she is now the leader on GC and barring an incident, she will be the 2015 TCC ladies champion. Behind, the race remained unchanged with Nikki Kimball running a consistent day, this time accompanied by Collete Potter and Samantha Gash. 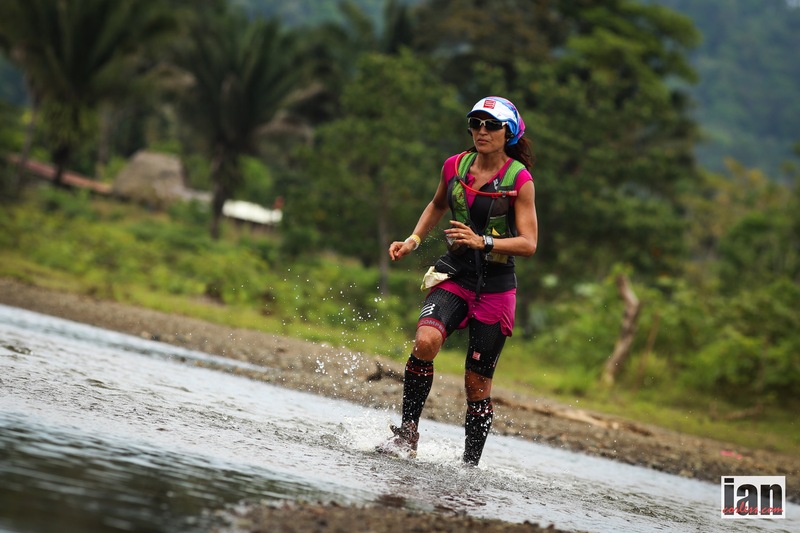 With Frosty dropping from the race, Costa Rican Laticia Maria Riviera will move up to a hard earned third place. 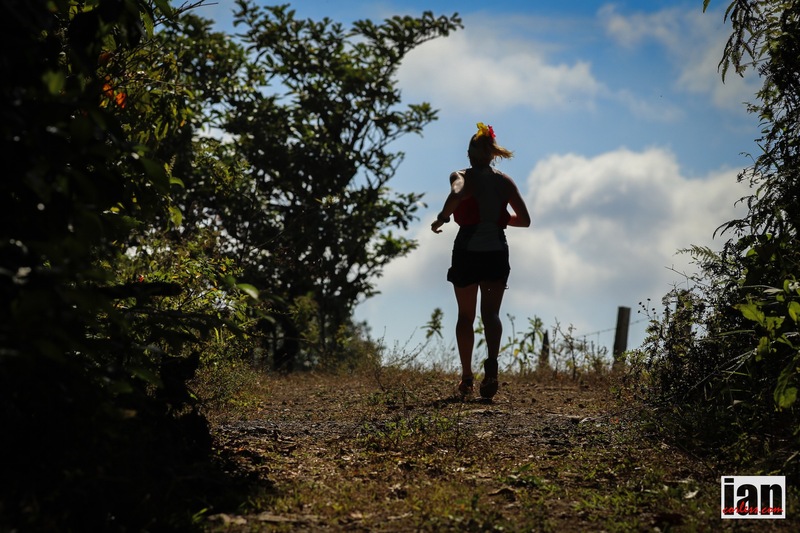 Tomorrow, day six of the TCC will bring the race to an end… expect a victory lap as all the runners enjoy the best of what Costa Rica has to offer.